Thermoskins Arthritis Shoulder Wraps stabilize the shoulder and combine compression with naturally generated body heat. 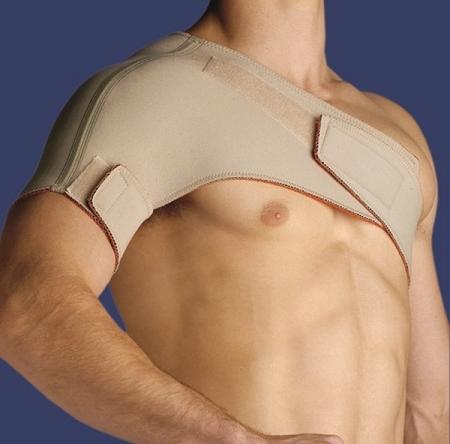 Stabilizes the shoulder and combines compression with naturally generated body heat. 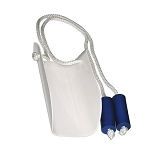 Provides therapeutic relief from soreness and discomfort. The Thermoskins® Arthritis Shoulder Wraps stabilize the shoulder and combine compression with naturally generated body heat for therapeutic relief from soreness and discomfort. 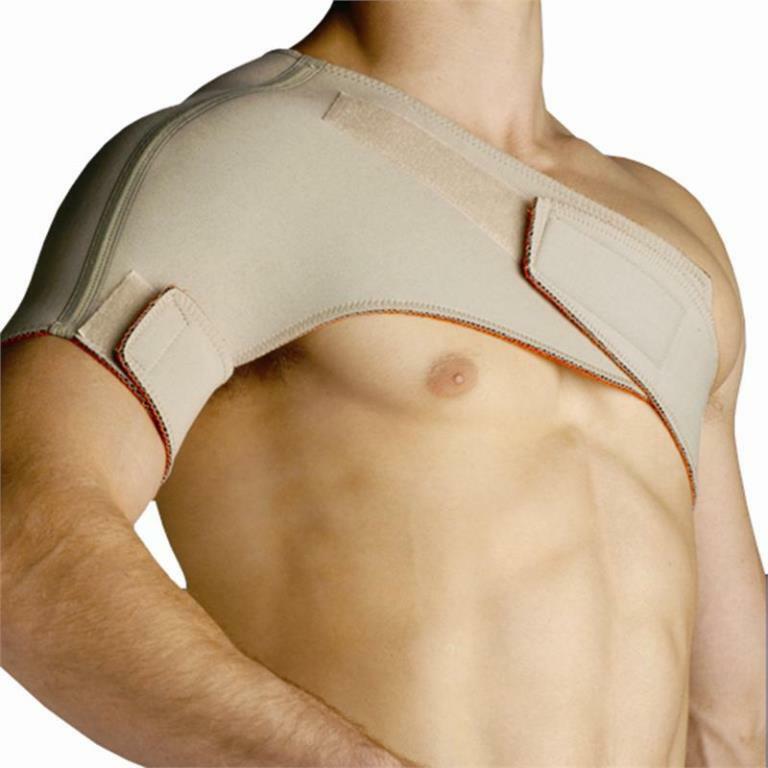 Thermoskin Arthritis Shoulder Wraps are ideal for people suffering from pain in only one shoulder due to orthopedic conditions such as tendonitis or bursitis. 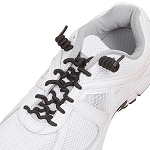 The lining retains heat and absorbs moisture for increased comfort. 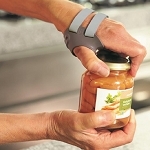 Thermoskin Arthritis Shoulder Wraps are designed with an adjustable hook and loop closure to allow arthritis sufferers ease of use and compression variation. 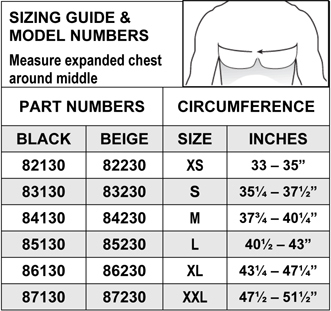 Measure evenly around the fullest part of your expanded chest for correct size. Clinically tested Thermoskins® therapeutic supports provide compression while helping to control arthritis swelling and aiding in the stability of the joint. Thermoskins® supports are made from fabrics specifically designed to provide even compression and firm support for muscle injury and soreness, with the greatest possible comfort and fit. 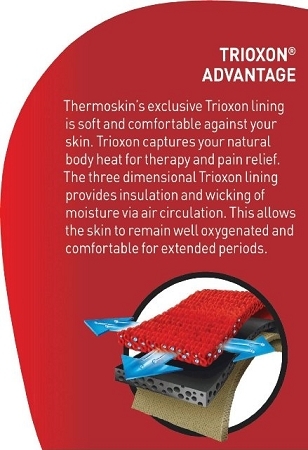 Unique to Thermoskins® supports is Trioxon® - a special soft material which not only captures and retains your natural body heat, but also, unlike other products, it allows your skin to ventilate and remain comfortably dry. Thermoskins® Supports with Trioxon® lining are completely washable and "breathable" to help alleviate excessive perspiration, skin irritations and the unpleasant odor associated with neoprene products. 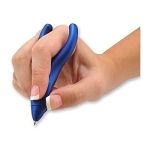 Anatomically shaped supports are very comfortable to wear. 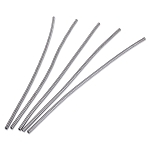 Thermoskins Shoulder Wraps out performs other products because the unique Trioxon lining is designed to be soft against the skin. 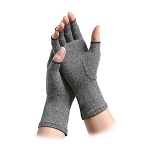 This minimizes skin irritation and perspiration while helping to retain heat. 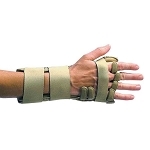 With Thermoskins, patients experience less pain and mastery of rehabilitation protocols is facilitated. 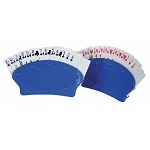 Thermoskins heat retainers will enable the return to routine activity more quickly. 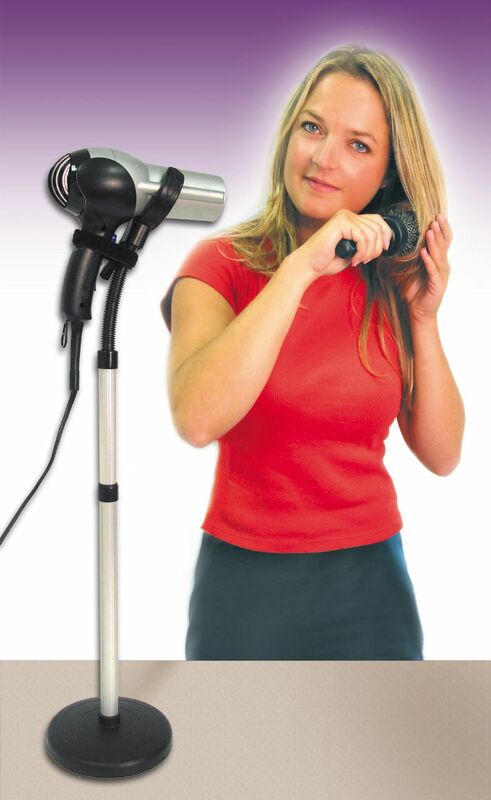 I purchased this for my husband who has been suffering with shoulder pain for over a year. He has had physical therapy with some relief. The use of the wrap and the exercises have decreased his pain significantly. He and his surgeon feel he can now postpone surgery indefinitely. It is what I wanted but could not find elsewhere. I broke my shoulder on March 13th 2016. My Dr. told me the shoulder is one of the worst places on your body to have a break. I didn't require surgery but am suppose to wear a sling until June 11th when I go back to the Dr. I chose to use the shoulder wrap and love it, way better than a sling! Plus it promotes blood flow to the should and gives really good support. I highly recommend this product. Q: Is the Thermo Skin Shoulder Wrap for women also? A: Yes, as long as the size is measured correctly across the chest the Thermoskin Arthritis Shoulder Wraps are comfortable for women also.